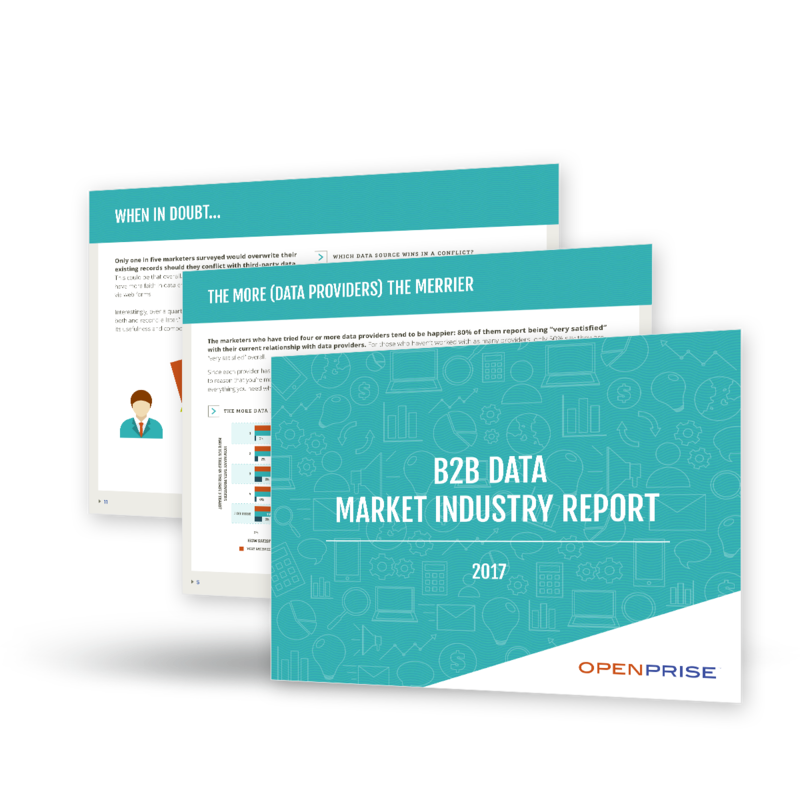 Curious about the trends in the B2B data marketplace, we surveyed 175 U.S.- based B2B marketing professionals. Included in our survey are the opinions marketers often have regarding their data. While marketers are often frustrated with the state of their house data, their sentiments toward data providers may be different. Since third party data is being utilized more and more, it can be fascinating to see what percentage of marketers actually say they’re satisfied. While still on the topic of marketers’ opinions, this guide details which data provider leads the pack as the provider most marketers have chosen, as well as a list of other less popular data providers marketers use as well.